Smartphones Hurting Teens? Well, It's Complicated. 5 Discussion Ideas for Nieces and Nephews after Seeing "Black Panther"
5 Smart Strategies to Get Nieces and Nephews off their Devices! 5 Conversations to Have with Kids After "Crazy Rich Asians"
Common Sense Media (@CommonSense) is committed to helping kids and families thrive in a world of media and technology. Savvy Aunties can talk with our nieces and nephews about everything from cultural differences to the importance of defying stereotypes in movies. 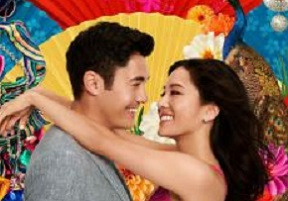 Based on the best-selling book by Kevin Kwan, Crazy Rich Asians is not only one of the best romantic comedies in a long time, it also marks a groundbreaking step for Asian and Asian American representation in Hollywood. This Common Sense Seal-honored film has interesting cultural and class comparisons, smart female characters, plus clear themes of love, self-control, and diversity. You and your nieces and nephews have a ton to talk about after this funny, original romcom. How are the differences in American and Chinese cultures portrayed in Crazy Rich Asians? What makes the parenting styles between the two cultures different? What are the pros and cons of each philosophy? Three characters -- Rachel, Astrid, and Eleanor -- demonstrate self-control. What are the similarities in their decision making? What are the differences? Crazy Rich Asians is the first Hollywood studio feature set entirely in the present with an all-Asian/Asian American cast. Why is that notable? Why does representation matter in movies, on TV, and in books? How do the characters defy stereotypes, both in terms of ethnicity and gender? What makes Rachel a positive female character? Why is it important for kids to see a wide range of behavior from both genders in the media they consume? The film shows that an abundance of wealth can also bring an abundance of other things, including complications. How does that tie in to the old saying of "money can't buy happiness"? What was the movie trying to say about materialism? Home Expertise 5 Conversations to Have with Kids After "Crazy Rich Asians"